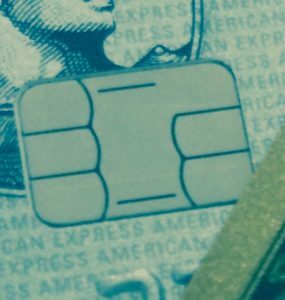 Maybe you’ve already gotten a glimpse; a customer pulls a credit card out of his or her wallet, and as they swipe, you see a chip that’s embedded in the card. Don’t freak out. You don’t have to work at Google to get it. You just have to understand a few simple points about this new chip. Let’s demystify the mystery, decode the data, and simplify the complexity of EMV. Use these tips as a basic guide to bring your company into a new era of safer, more secure transactions. • Update, update, update. EMV technology is new to the US, and the truth is that not all POS machines are already EMV-capable. What this means is that you should check both your hardware and software to see which components (whether some or all) should be updated, which brings us to our next point. • Stay connected with all parties involved. No EMV machine is an island unto itself. Your POS system requires cooperation with your bank, processor, and other individuals or companies connected to your POS system. Find out what they have to say about EMV to stay current with any updates regarding the technology. It will allow for a more seamless transition. • Think smart. Plan ahead, and stay one step ahead of the game. Once you’ve got the ball rolling on updating your POS system, consider other ways in which your system can stay smart. This includes considering a cloud-based POS or tablet solution like Revonu POS by COCARD. • Consider COCARD. If you are considering a POS provider, we have a number of options available for POS systems and can help you decide if a new system is right for you. • Carry an umbrella. You should always plan for a rainy day. Although it’s unlikely, there is always the slight possibility that your POS will break down. It isn’t fair, we know; but stuff happens. You should make a back-up plan to prepare for the off chance of the unexpected. Did you know that the Revonu package by COCARD includes a FREE EMV terminal? • Teach your employees to fish. We promise, this is the last metaphor. Here at COCARD, we believe that employees should be trained in the ways of EMV. That means that they should understand the technology and know how to use it. After all, having truly knowledgeable employees makes the company look good. So that’s it, six key points to remember about EMV. As you continue to learn more about this new technology, use this as a basic guide during your company’s transition to EMV. The EMV experts at COCARD are available to answer any questions you may have!